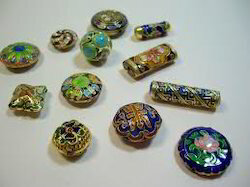 We are one of the leading manufacturer and exporter of Enamel Beads. Available in various shapes, sizes and designs, our range of beads is attractive and widely used for various decoration and jewelry making purposes. 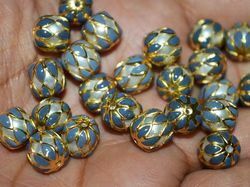 To cater the variegated demands of our customers, we are highly engaged in manufacturing a wide array of Brass Enamel Beads.